How Long Does Paint Need to Dry? 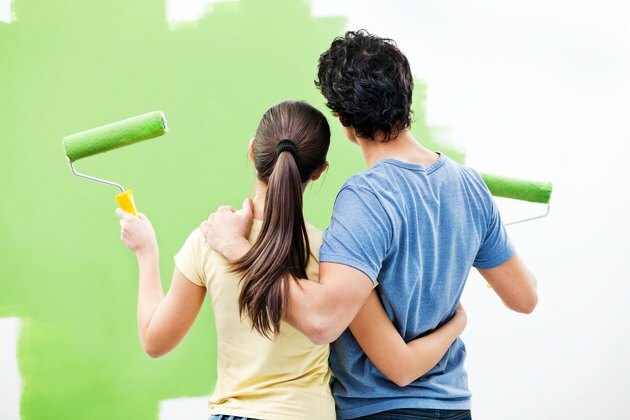 When you are painting a room in your house or apartment, it can be tempting to rush the process so that you can move furniture back in and enjoy your updated space. However, it's important to give paint an adequate amount of time to dry so that it hardens properly and doesn't cause issues down the line. There are some strategies you can employ to make your paint dry faster, but you should note that these may vary depending on the sort of paint you are using. If you're working with an oil-based paint, you will likely need to allow it between six and eight hours to dry properly. You should then wait a full 24 hours before applying a second coat. When you're using latex paints, this dry time is significantly reduced. You may only need to wait one hour before the paint is dry to the touch. You should still wait four hours before adding another coat, however. There are a number of strategies for making paint dry quickly. First, keep coats thin, so that they offer just enough coverage for the wall. Thick, gloppy coats of paint won't dry evenly or in a timely fashion. Second, try to paint when humidity is low and temperatures are reasonable. Although it's a good idea to paint with the windows open from the perspective of ventilation for your health and safety, doing so can actually yield longer dry times. Closing the windows and running an air conditioner while your paint is drying can be a good way to encourage faster dry times. Be sure the room is ventilated, however. Good air flow is critical to proper drying. Additionally, the method of paint application affects how long it will take to dry. Use a roller whenever possible to ensure thin, even coats. This will also help you to achieve a consistent finish. Brushes tend to leave streaks and are more likely to result in a gloppy finish. Once your paint feels dry to the touch, the chemicals and solvents that comprise it have evaporated to a great enough extent that it's appropriate to hang pictures, posters or wallpaper. Note, however, that paint doesn't reach its maximum hardness, or cure, right away. Waiting until your paint has cured will avoid problems with frames sticking to the wall or wallpaper that won't adhere. Generally, you can expect oil-based paints to cure within a week of their application. Latex paints take considerably longer, and won't cure for as long as a month. 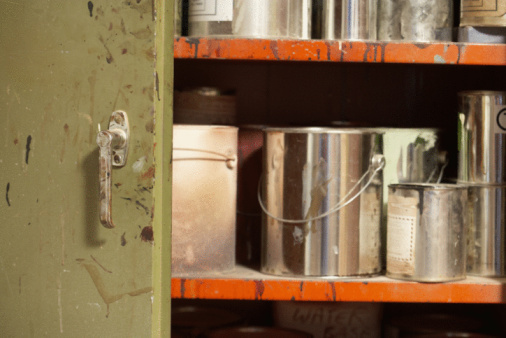 How Does Temperature Affect the Drying of Paint?